Nalley® is the #1 chili in the Northwest—that’s where it comes from, and that’s where you live. It's your chili brand! Grab a can and be a proud fan. Our famous chili has roots that go back to 1918, when young Tacoma chef Marcus Nalley launched his legacy with thinly sliced potatoes called “Saratoga Chips.” By the early 1940s, his factory in “Nalley Valley” was satisfying the demand for his chips and other delicious, high-quality foods. With more than 1,300 products under the Nalley name today, life in the Pacific Northwest has never tasted better. Don’t bother making chili unless you’re sure it’s the best! 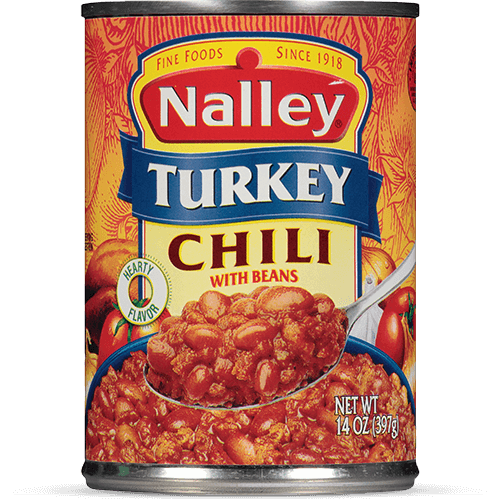 Nalley’s Chili uses only the best ingredients, plus it’s high in fiber and low in fat—although that’s probably the last thing you think about while feasting on any of our delicious chili flavors. 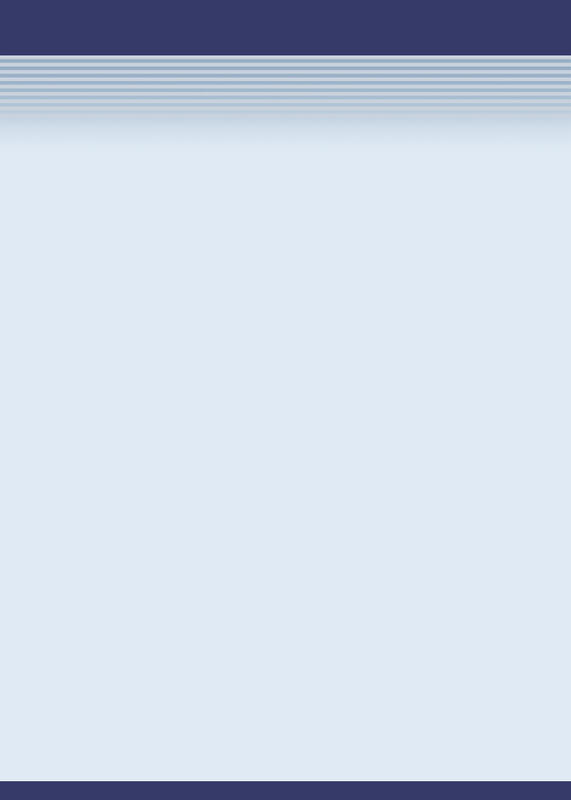 And that’s just how Nalley likes it. It’s like our Original Chili with Beans, but without the meat. 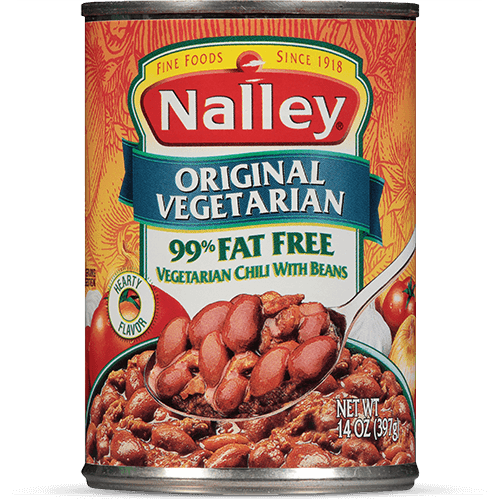 Nalley’s Original Vegetarian Chili combines a soy-based protein replacement with plump, pink beans for a delicious, low-fat chili that sacrifices nothing in taste. We simply took the best-selling chili in the Northwest and removed the beans. Then we added 15% more beef for a hearty, delicious chili that meat lovers can’t get enough of! We’ve added real premium cheddar cheese to our Original recipe. Cheese fans love this one! Some like it hot. Some like it really hot. And then some like it with real chunks of jalapeño and green chili peppers! 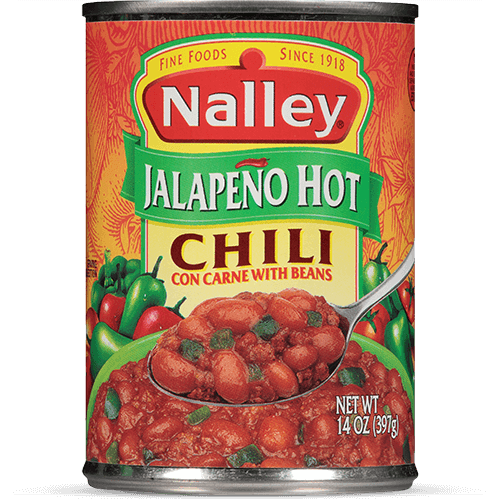 That’s why Nalley makes Jalapeño Hot Chili with Beans, for an extra-hot, authentic western flavor that true chili lovers prefer. 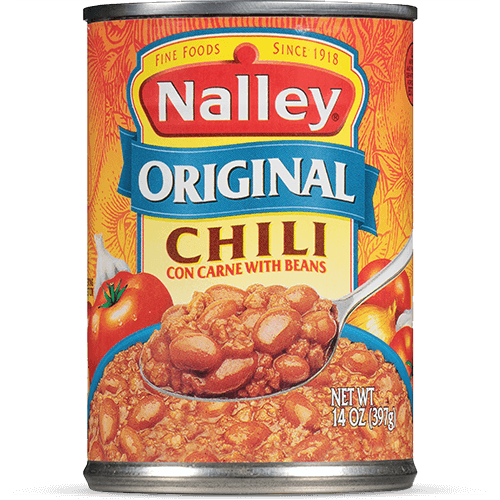 The first chili Nalley ever made is now the #1-selling chili in the Northwest! It’s a delicious blend of quality meat, beans, tomato paste, seasonings, and spices. 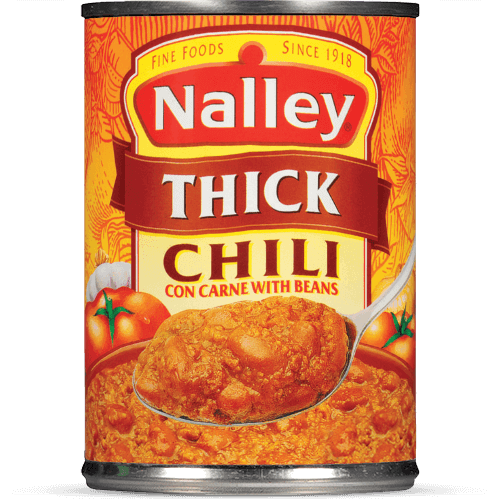 Dig in to Nalley’s Thick Chili with Beans, made with 10% more beef. It’s a thicker, heartier chili that we know you are going to love! 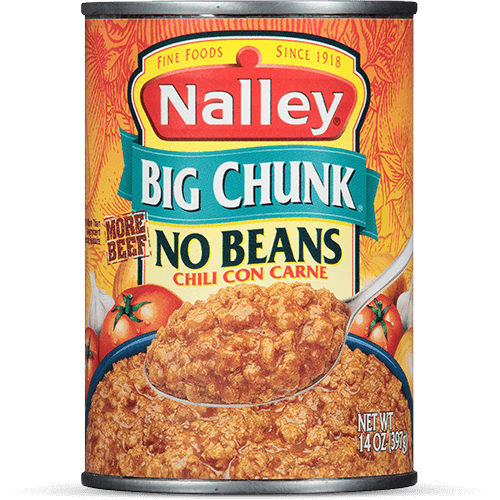 It’s Nalley’s great-tasting, low-fat alternative for health-conscious chili lovers. Same recipe as Nalley’s Original Chili, but with quality turkey meat. 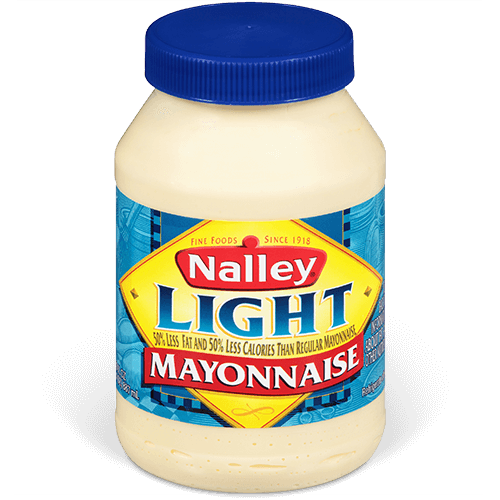 Nalley's Light Mayonnaise has 45% fewer calories, 1/2 the fat, and 1/2 the cholesterol of regular mayonnaise! 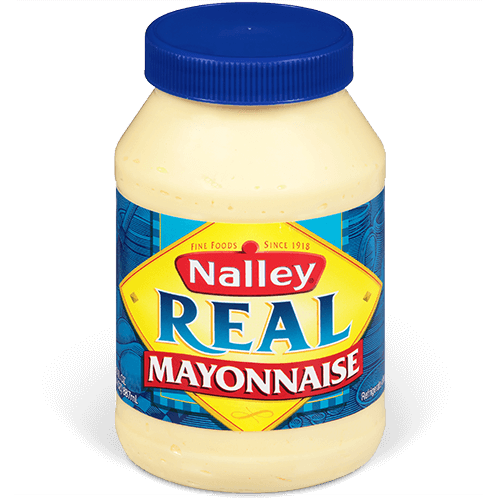 Nalley's Real Mayonnaise is made with real eggs and other fresh ingredients to bring you the best flavor and quality. Plus, it's healthier than competitors' mayonnaise, with 66% less saturated fat than Best Foods, Kraft, or Saffola! 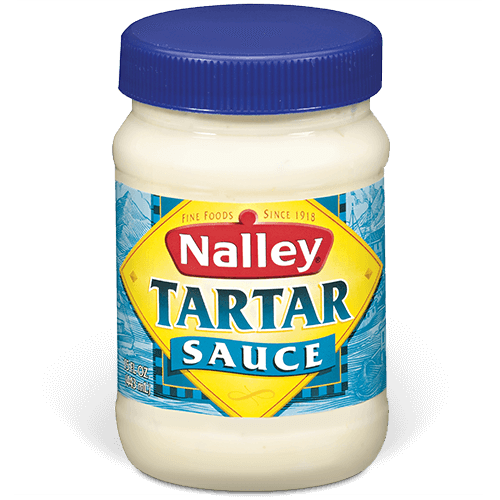 Nalley's Tartar Sauce is made with the highest-quality ingredients to give you the best, most authentic taste. It's perfect for any fish or shellfish, or even as a mayonnaise substitute for all of your favorite fish sandwich recipes. Traditional Mexican tamales with a blanket of stone-ground corn masa surrounding a spicy, meat-filled center, and covered with chili sauce. Each tamale is individually wrapped in parchment to hold its shape. Enjoy them just the way they are, or bake them in a casserole with rice and cheese. Big chunks of savory beef, carrots, and potatoes give a hearty, homemade taste to this Northwest favorite. 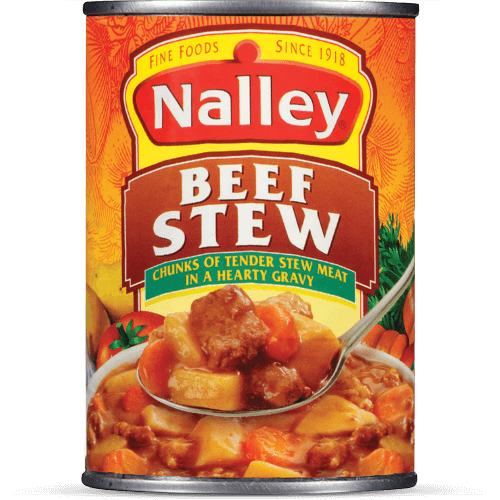 Enjoy Nalley’s Beef Stew with warm bread or biscuits for a quick, delicious meal anytime. We use imported corned beef, onions, and fresh java pepper to give an authentic flavor to our Corned Beef Hash. It’s always great with eggs! You can even fry it in patties for quick, delicious hashburgers. 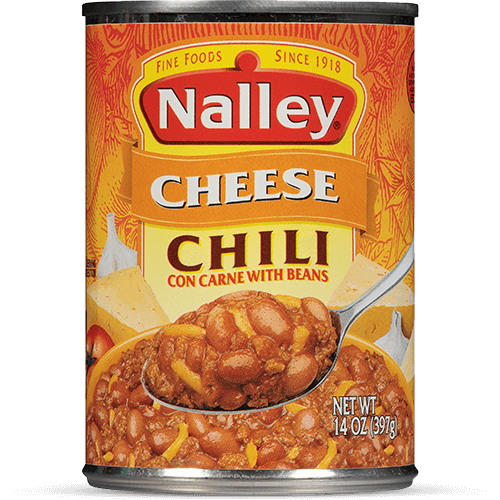 Of course, we all know Nalley for its extensive line of great-tasting chili. But more than 80 years of history and a lot of hard work have gotten us to the brand we know and love today. And that history is strongly rooted in the Northwest. Nalley was founded in 1918 by a 28-year-old chef living in Tacoma. Starting with thinly sliced potatoes called "Saratoga Chips," Marcus Nalley spent 44 years of his life becoming a household name. 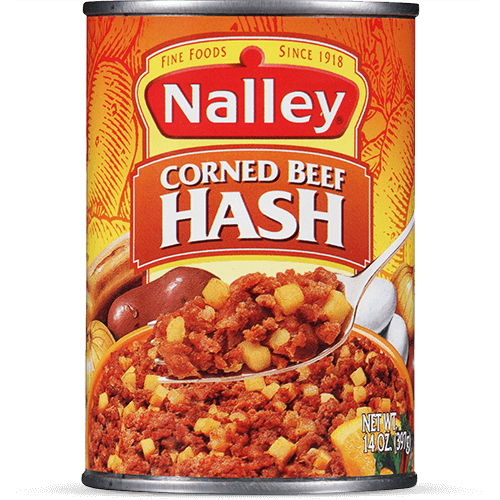 His potato chips were so popular, Nalley decided to open up a plant where he could produce them in greater quantity, as well as produce his own brands of mayonnaise and maple syrup. Despite hard times during the Great Depression, sales continued to soar and Nalley began to expand throughout the Northwest in the early 1940s. The first major development in production was the opening of a large factory in the southern outskirts of Tacoma. This factory produced pickles, potato chips, canned foods, and salad dressings. And because it was the first operation to occupy this industrial development, the entire area was dubbed "Nalley Valley," a name that remains to this day. In later years, new plants opened up in Tigard, Oregon and Billings, Montana. Nalley was becoming even more of a staple in Northwestern households. In fact, at the height of production, the company was operating more than 10 potato chip facilities within the U.S.
Marcus Nalley died in 1962, leaving behind a legacy that would continue to grow and grow. 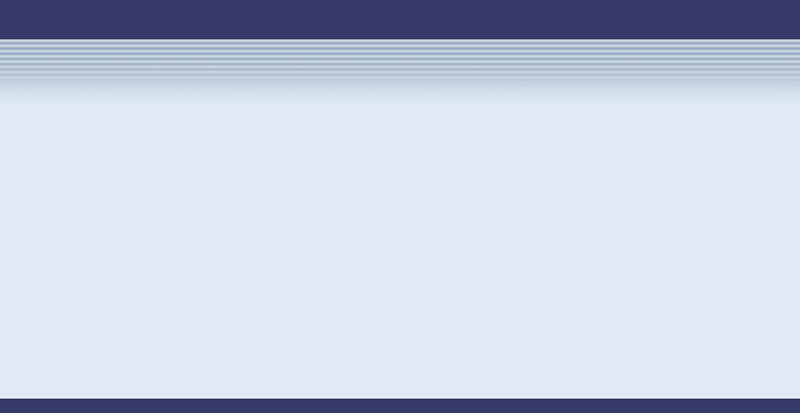 Today there are more than 1,300 food products under the Nalley label, ranging from pickles to canned foods to salad dressing and peanut butter. 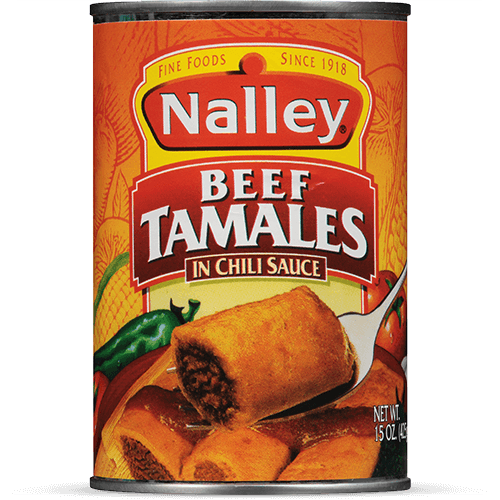 With canned chili as its biggest seller, the Nalley label continues to be synonymous with delicious, high-quality food products.